Since the 1970s, researchers have been using swallowable technology - sometimes known as "smart pills" - to diagnose and treat medical problems. Today we have ingestible cameras, as well as sensors that study how drugs are broken down in the body. But there's an inherent risk in today's smart pills - many of the components are pretty toxic to humans, and if a pill gets lodged in the digestive tract then it needs to be got out fast. That's why researchers are calling for batteries to be developed that the body can safely digest. Christopher Bettinger of Carnegie Mellon University is one of those researchers. He's just published an article in the journal Trends in Biotechnology that presents a vision for safe consumable electronics, powered by charged ions in our digestive tracts. 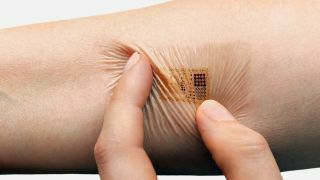 Lab experiments have shown that it's possible to build electronics that take advantage of the body's natural electrolytes and disintegrate in a few months, but turning those prototypes into real pills that can be used on humans is proving tricky. "There are many rapid advances in materials, inventions, and discoveries that can be brought to bear on medical problems," Bettinger says. "If we can engineer devices that get the most mileage out of existing drugs, then that is a very attractive value proposition. I believe these devices can be tested in patients within the next 5-10 years."